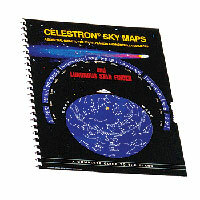 Celestron Sky Maps are the ideal teaching guide for learning the night sky. You wouldn’t set off on a road trip without a road map, and you don’t need to try to navigate the night sky without a map either. Even if you already know your way around the major constellations, these maps can help you locate all kinds of fascinating objects.